The Steam Locomotive Department (SLD) is tasked with providing both locomotives and crews in order to meet the timetabled needs of the Railway. As a member of the Steam Locomotive Department, volunteers will be expected to work in the Department on a reasonably regular basis. Volunteers who aspire to become enginemen can progress from being a Department Member, to Cleaner, Fireman and finally onto Driver. However, the Department also welcomes volunteers whose only passion is maintenance or restoration. Members can choose to get involved in any or all of these three areas. Those members aspiring to footplate duties will have the opportunity to fill vacancies in the cleaning roster and carry out cleaning duties under the supervision of the allocated fireman; if operational circumstances allow, they will be able to join the crew on one of the journeys during the day in order to be introduced to fireman's duties. During the rest of the day the member should expect to assist with other duties around the yard. 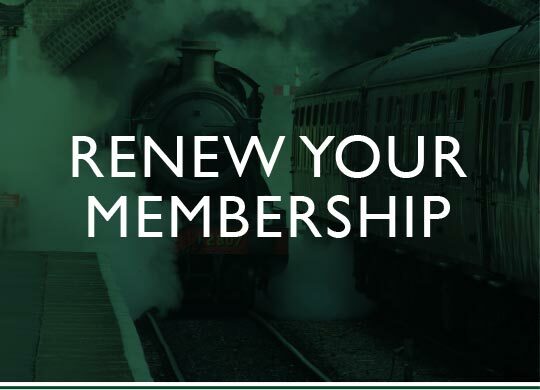 Members who wish to become enginemen will be required to pass a medical examination with the Railway's doctor before travelling on the footplate on a regular basis. Promotion to the grade of Cleaner will be by selection on merit. Consideration will be given to commitment to the Department and the Railway as a whole, reliability, fitness for engineman duties, aptitude shown when on the footplate. There is no age limit for promotion to cleaner but a degree of physical fitness is required as a day out on the footplate can be quite arduous. Trainee Cleaners will undergo formal classroom teaching covering the workings of the steam locomotive, rules, signals, fireman's duties, failures and emergencies. At the end of the training they will be required to pass a written examination. Cleaners will also be required to undertake a Shunting and Yard Safety course and pass the associated written examination. The typical day on-shed as a member of the department is a very varied one. Your day all depends on how much you want to get involved and what you want to progress with. For example, if you want to get on the footplate you may be starting at 6am and finishing some 12 hours later, committing yourself to a day on which you have been rostered; whereas, if you're a restoration fanatic, then you may be starting at 10 am on any of the department's working days, normally Wednesdays and Saturdays. 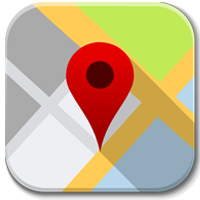 Duties and tasks can be absolutely anything which helps with the running of the Department. 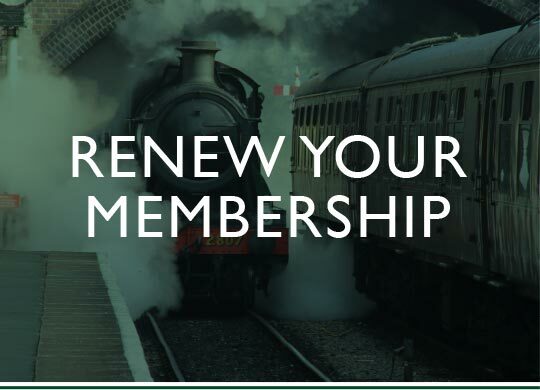 So, one day you may be going out on the footplate or you could be helping to clean an engine, changing a grate, breaking up some firewood, moving sleepers, some fencing or even making the tea! It all just depends what is happening on shed the day you are there. Working around steam locomotives can be dirty and potentially hazardous; for these reasons you will need to wear appropriate clothing: cotton overalls, safety boots and 'riggers' gloves. The Railway will provide specialist PPE such as ear defenders and face-masks. Our Steam Dept. 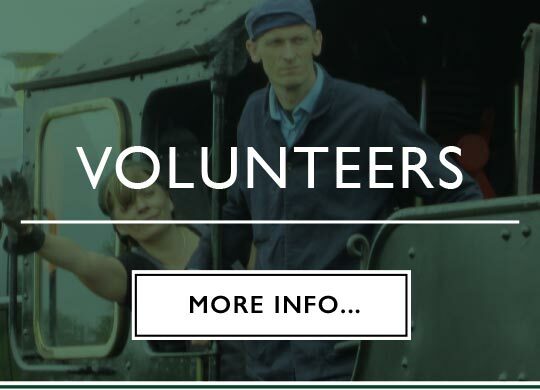 cannot currently accept new volunteers unless they have railway experience, or they have engineering skills to offer. If you have these attributes, please see here to learn how to become a volunteer, giving full details of your experience and, if relevant, the name, contact details of someone in authority in the steam / operating department we can talk to at the last railway you worked / volunteered for. Alternatively, why not join Railway Catering Service instead or our Special Events Team? When Steam vacancies become available they will be advertised internally in the first instance before being placed on this web site. 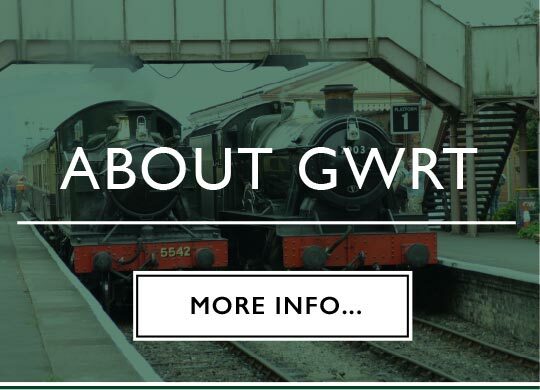 For a day-to-day view of our activities, please go to the Steam Loco Department blog here. 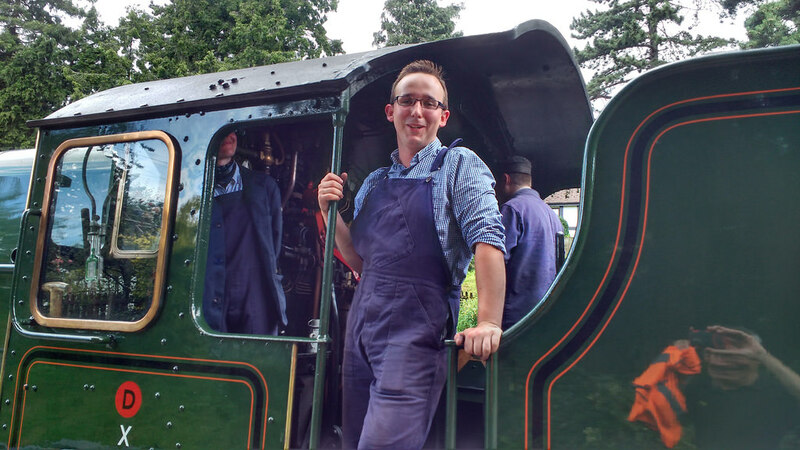 You can read about one new volunteer's experience out on the footplate here.